A recap of popular stories this week, July 15-21, 2018. The Outdoor Retailer Summer Market trade show, kicking off Monday in Denver, will be gear central. Here’s our exclusive pre-show peek at some exciting outdoors gear coming to market for spring 2019. Stay tuned to GearJunkie for extended Outdoor Retailer coverage as it happens live at the show. You may not recognize these Chacos. For seven days in Alaska, we strapped on Chaco’s newest shoes — the Odyssey Sandal and Torrent Pro — and paddled, slogged, and waded our way to this review. Tentsile thinks there’s an even more fun way to camp than on land. 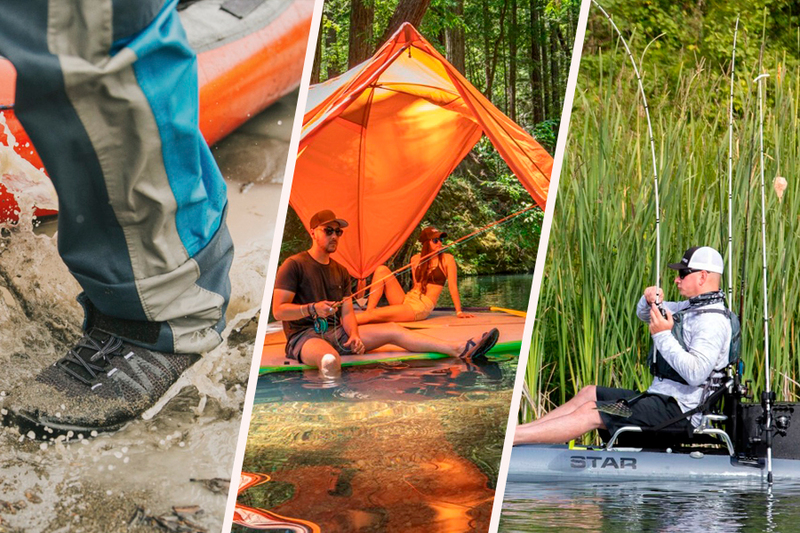 For 2019, Tentsile launches the Universe for pitching on the water. Just don’t sleep on the lake! GearJunkie joined Mountain Hardwear on the Grand Teton to learn about its 2019 plans. Mountain Hardwear hits the reset button, harking back to its alpine roots, for next year. Nothing on its equipment line goes untouched for the reboot. On the scene at ICAST, we scoured the fishing convention to find exciting new fishing boats. And the future of personal watercraft looks bright! next:Did The North Face Develop the World’s Best Shoe Rubber?